It's the keyboard replacement apps you can now install in iOS 8 that have grabbed the most attention, but Apple has also opened the door for third-party image editors to integrate directly with the Photos app. Here's how to get the feature set up, and some of the best apps you might want to try. Because of the way iOS 8 has been built, you can use non-Apple apps more easily for sharing content, typing out text, opening documents, appearing in the Notification Center, and editing photos. The extra hooks that other developers can latch onto are called extensions. For photos, that means when you tap Edit in the Photos app, you can use something other than the tools built by Apple to make changes to the selected picture. As you add more photo editors to your iDevice, more options will become available. 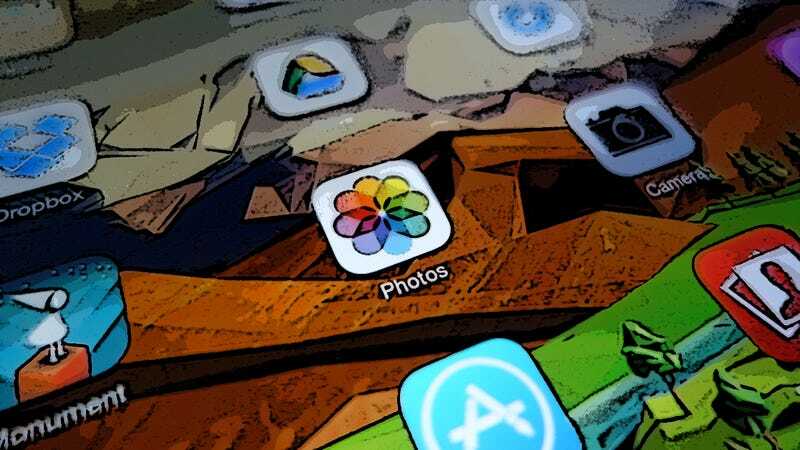 The first step is of course to add the apps you want to integrate with Photos. Apple showed off VSCO Cam (free) in its iOS 8 keynote demo, the app doesn't seem to have the functionality at the time of writing; other apps that do have the photo extension capability right now include Afterlight ($0.99), Camera+ ($1.99), Fragment ($1.99), Litely (free) and Scanner Pro ($2.99). The next step is to let iOS 8 know that a capable app has been installed, and just downloading it isn't enough on its own. You need to launch the app and give it permission to access your device's pictures for the Photos app to be able to see it. You can then switch back to Photos to activate it fully. With one or more photo extension-enabled apps installed, when you tap Edit on an image in Photos you'll see another icon alongside the usual tools (three dots inside a circle)—tap it and then choose More to bring up a list of compatible apps, which you can quickly enable or disable as required using the toggle switches. You can then, finally, find these third-party apps in the Photos editor by tapping on the extra More icon (three dots inside a circle) at the bottom or the side of the image. It's a bit of a rigmarole to get it set up, but eventually you can access all of the filters and editing tools from your third-party apps right inside the Photos interface. Other image applications—such as Photo Investigator (free)—embed themselves inside the Share menu rather than the Edit screen. In the case of Photo Investigator, it adds a Metadata option to the Share menu that you can then use to check up on (and edit) key information attached to the picture. iOS 8 has been out for a while, but you can still expect plenty more apps and extensions to appear in the future as developers keep working out all of the kinks in the system. We may never get the same kind of flexibility as there is on Android in iOS, but it's a useful improvement nonetheless.